During a press conference in Minneapolis, Minn. on Friday, Democratic presidential candidate Hillary Clinton took the liberty of choosing which questions she would answer from reporters. 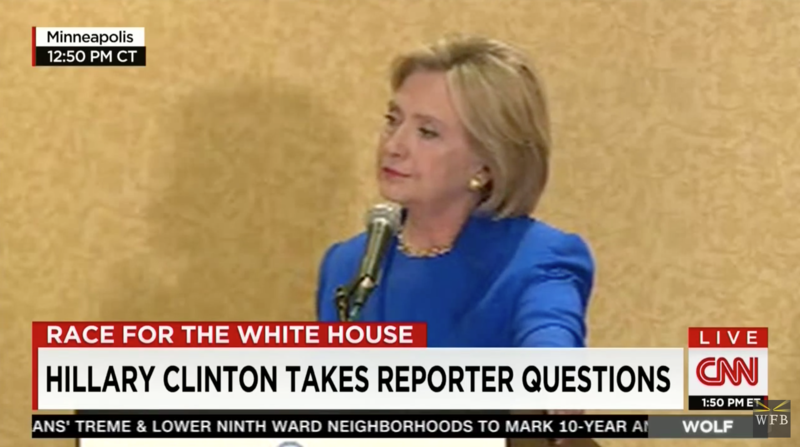 “Let me answer one of your questions because I think that’s what you are entitled to,” said Clinton. If that’s not arrogant, I don’t know what is.